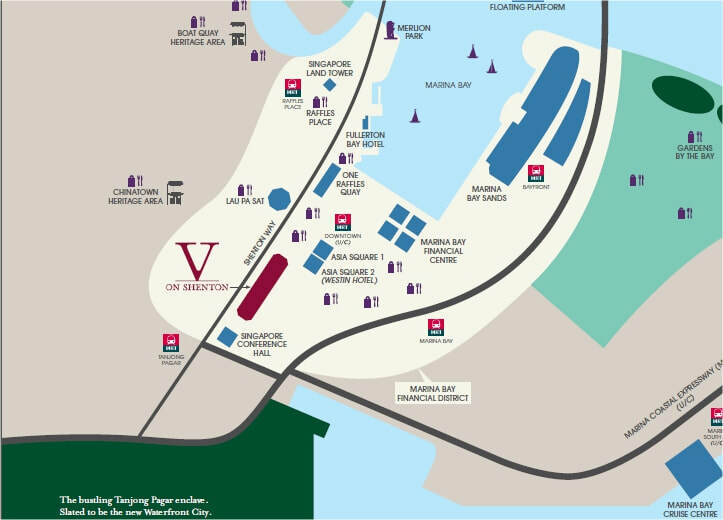 V on Shenton sits right on the pulse of Singapore’s new Marina Bay Financial District within the opportunity corridor of Asia’s multi-million dollar waterfront city – Downtown at Marina Bay, Marina Bay Sands, Marina Bay Cruise Centre and Gardens by the Bay. V on Shenton will have direct underground link to Marina Bay Link Mall and Downtown MRT Station and Raffles Place MRT Interchange Station as well as the Tanjong Pagar MRT Station, are all within walking distance. 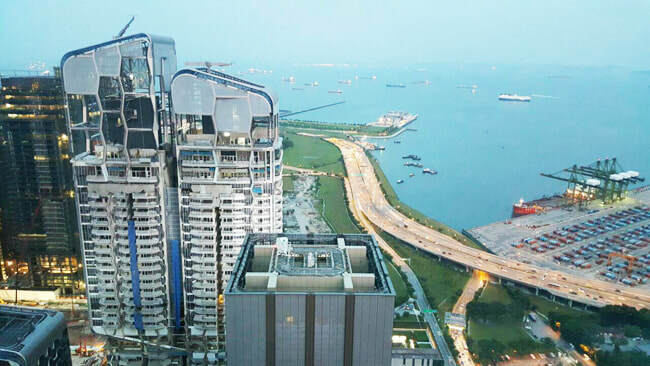 The Central Expressway (CTE), East Coast Parkway (ECP) and the Marina Coastal Expressway (MCE), offer seamless connectivity throughout the island. 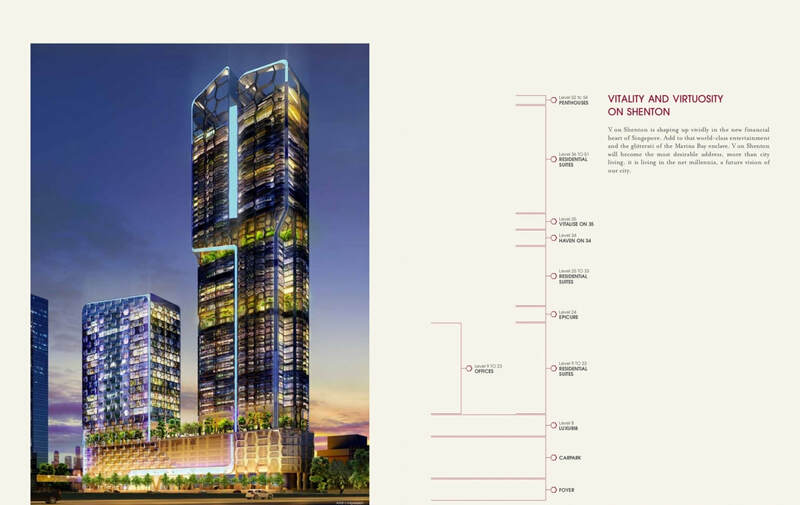 Strategically located at Shenton Way and Marina Bay Financial District, V on Shenton is an integrated development comprising of a 54-storey residential tower and a 23-storey office building comprises of 510 condo units from studio, 1 to 3-bedroom apartments and penthouses. V on Shenton designed by renowned Dutch architect, UNStudio and award winning local architect - Architects 61, is right at the doorstep of upcoming Shenton Way MRT Station (Thomson East Coast Line). V on Shenton's design concept harmonises habitat and nature into a magnificent column of light, space and greenery. Using its signature organic shapes and structures inspired by nature, the building reflects the sense of a sculpture crafted by artisan hands to redefine the appeal of metropolitan living.